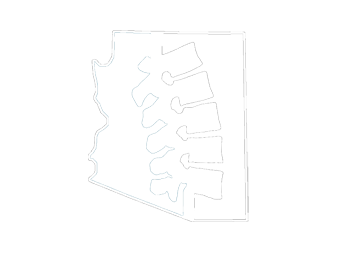 At Arizona Chiropractic & Holistic Health Center, serving Scottsdale, AZ and the surrounding area, we pride ourselves in offering a blend of traditional chiropractic treatments and the latest revelations in the field such as cold laser therapy. This particular laser treatment is a bit different than a standard laser procedure. Cold laser therapy, also referred to as low-level laser therapy (LLLT), is a low-intensity laser therapy that promotes healing through low levels of light energy. Although the laser doesn't emit cold, it doesn't heat your body like a standard laser procedure. What Happens During a Cold Laser Therapy Session? When you opt for a cold laser therapy treatment, you receive different wavelengths of light energy directed toward the area you're experiencing a problem with. As your body's tissue absorbs this light, in particular, the red and near infrared light, it targets your tissue. As your cells respond to the laser, it promotes regeneration, which means the tissue heals quicker than it would without a laser treatment. During the procedure, you won't feel any pain, vibrations, or even heat. You will, however, feel the laser touching your skin. One cold laser treatment takes only a matter of minutes. In chiropractic care, we use cold laser therapy to treat minor injuries such as sprains, strains, tendonitis, and bursitis. We also use it to help with tennis elbow, neck pain, lower back pain, and knee pain. The laser energy reduces swelling and encourages the body to heal the area. Cold laser therapy treats general inflammation and that related to rheumatoid arthritis and other chronic autoimmune diseases. This particular treatment is beneficial if you have either chronic or acute aches and pains, especially in the joints and soft tissue. It even helps with conditions like fibromyalgia and carpal tunnel syndrome. Cold laser therapy is a relatively safe procedure when you seek out the treatment from a qualified specialist like a chiropractor at Arizona Chiropractic & Holistic Health Center. It's a painless, noninvasive procedure. You don't require any medication, nor does our chiropractor need to prepare you before the procedure. We've helped other patients using cold laser therapy, and there is evidence the therapy works. However, cold laser therapy isn't for everyone. We won't perform it on pregnant women because researchers have yet to deem it safe for unborn babies. We want prospective patients to know that although the treatment only lasts for a few minutes, you need more than one treatment. For some patients, this means you have to come into the office up to four times per week for a month to see the full effect. Keep in mind, insurance doesn't always cover this particular procedure. Laser therapy shows promising results for patients who have either chronic or acute pain. To experience what cold laser therapy can do for you, contact Arizona Chiropractic & Holistic Health Center, serving Scottdale, AZ and the surrounding area, by calling 480-585-5577.